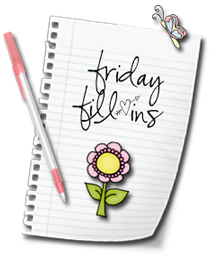 I first saw Friday Fill-In over at Lainy's blog several weeks back. How interesting I thought and I loved the FFI picture that came along with it too! I thought this was such a creative and fun way to give a quick recap of my thoughts and happenings over the week. Everything in one simple and sweet post, which I adore! Naturally, I had to join in the fun too so here's my very first FFI! I hope you enjoy reading my thoughts for the week. My fill-ins are in lime green by the way. 1. 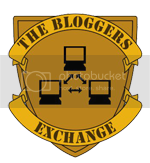 Join me in the fun and excitement of the First Commenter Club. 3. Happiness is finishing my EC round early on a Friday so we can start the weekend early. 4. MPG still unloved by Mr. G leaves me sad and confused. 5. I'm waiting for my first MILLION. 6. Grilled butter chicken is hard to resist. 7. And as for the weekend, tonight I'm looking forward to catching up on B&B, tomorrow my plans include sending the kids to Diva 9 and Sunday, I want to relaxi taxi the whole day! PS. Thanks Shemah for nudging me to join the fun that is Friday Fill-In! lol...i clicked the wrong smiley! Eh fun la this one Mon, come join! He he he!!! I was so excited to join so did it even tho it’s Sat edi lol! mariuca, u mean every week same Qs or diff?? Yay Mon, 2 points edi! #3 Happiness is finishing my EC round early.. hahaha I agree mariuca!!! I hope Mr. G hears my plea and cry here Mon lol! ya now we both can relaxi taxi aldy!! Welcome sweetie! FC FC FC! so where do u get the ques Ane? Relaxi taxi it is Mon, gonna wacth my show, how abt you? what a lovely post Mariuca..
:-P :-P to Mr G !!! And oh! Thanks for the mention! I haven't done FFI recently because of the contest. But I will have mine up next Friday. :) :) :) :) :)Recent blog post: God Bless! I am Back! Thanks for the taggie, Marzie Dearie! Will let you know once it's up. May you have fab weekend! Mwaaaahugs! :* :* :* :* :* :*Recent blog post: God Bless! I am Back! Good luck in finding your first million, hehehe! ;) ;) ;) ;) ;) ;)Recent blog post: God Bless! I am Back! Yes Marzie, every week different questions, except for the very last one..
Hola MPG! Just stopping by to say hi before we pack up the SUV to head down to Bay Head to open our beach house this season. Mariuca is everywhere Roxy is... Mariuca (the original) is on Roxiticus Desperate Housewives EntreCard widget, and MPG is on RoxysBestOf!